KARA CHANDLER'S TRIBUTE TO...... CHER!! In every one of the last 5 decades, multi award winner Cher, aka “The Goddess Of Pop”, has had a number 1 song on The Billboard Chart. With more than 200,000,000 records sold, she has been a major force on radio and television and in movies and pop culture publications of all stripes. She is known the world over for her sense of humour, sultry voice, unique appearance and outrageous fashion sense. 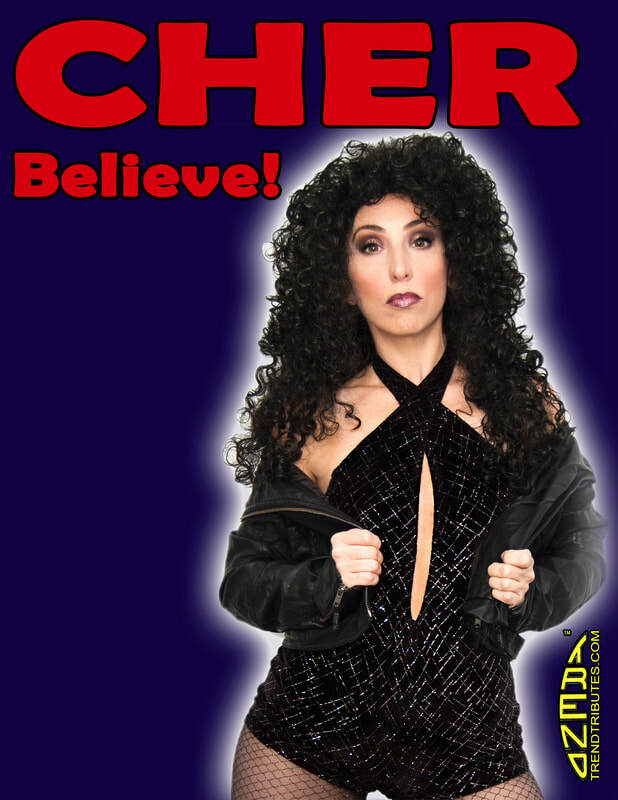 With her uncanny resemblance to the famous star and with 10 years of theatrical experience in musicals behind her, Kara Chandler personifies Cher without any difficulty at all. She embodies the living legend on stage in a way like no other can. Now, after 7 years performing her Cher - Believe show in dinner theatres, casinos and concert halls, Kara has built a reputation as one of the top Cher tribute artists in the world. Her combination of boundless energy, charisma and talent lets her easily morph into her alter ego Cher and give audiences the powerful and unforgettable experience that only a true star is capable of giving. Like Cher, Kara Chandler is an entertainer of the highest order.